After a few months of seriously hard work from the team managing the arrival and preparation of two completely new cars as well as pre-season testing and getting-to-know our three new Porsche Carrera Cup Drivers the team were really looking forward to the first hit-out of the season. 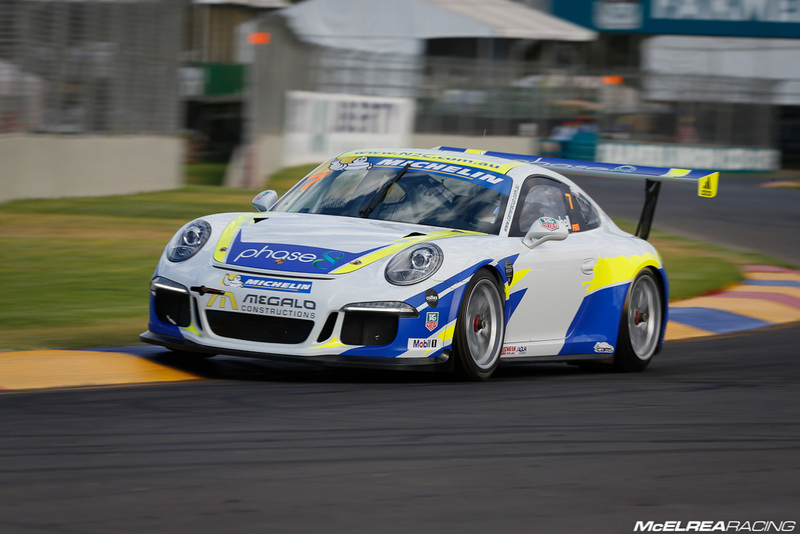 Spike joined MR to do the first 2 rounds of the Australian Carrera Cup Championship in preparation for his European Porsche Supercup campaign. Although the deal came together late, we were able to arrange to lease a car and do a test at Qld Raceway a week before the first round at Clipsal. Spike did a great job at the test and the team were confident of a great result at Clipsal. He was the top MR qualifier in 10th and was on target for a comfortable top 10 finish when he lost the rear late in race 1, which unfortunately did enough damage to end his weekend. MR is wrapt to welcome Shane to the team for the 2015 championship. Shane has proven he is a race winner and MR is confident we can turn him into a Championship winner. Like Spike and Matt, he had his only pre-season run at QR a week before Clipsal. Like Matt, he was a victim of the aborted restart fiasco at the beginning of race 1. The result of 6th was a great effort and he improved to 4th in race 2. Due the the near indentical performance of the Cup Cars he did a great job to progress to 3rd and MR’s best result of the weekend in race 3. MR is thrilled to have the help of Michael Hovey to graduate Matt from GT3 Cup Challenge to Carrera Cup for this season. While his speed is blinding, he still has a lot to learn about racecraft, passing fast and slower cars, plus many of the other challenges this crazy game can throw at a driver. But make no mistake, this kid will be one of the best drivers Australia has ever seen in the years to come, and we are proud to be the team to turn him in to a star. 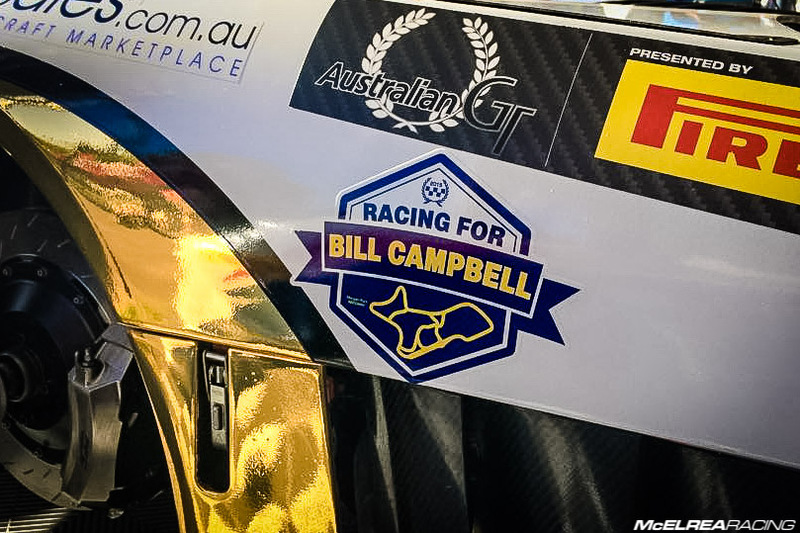 After the tragic passing of Bill, his grandad, mentor, sponsor and employer in the days before Clipsal, his focus, performance and speed was nothing short of miraculous. 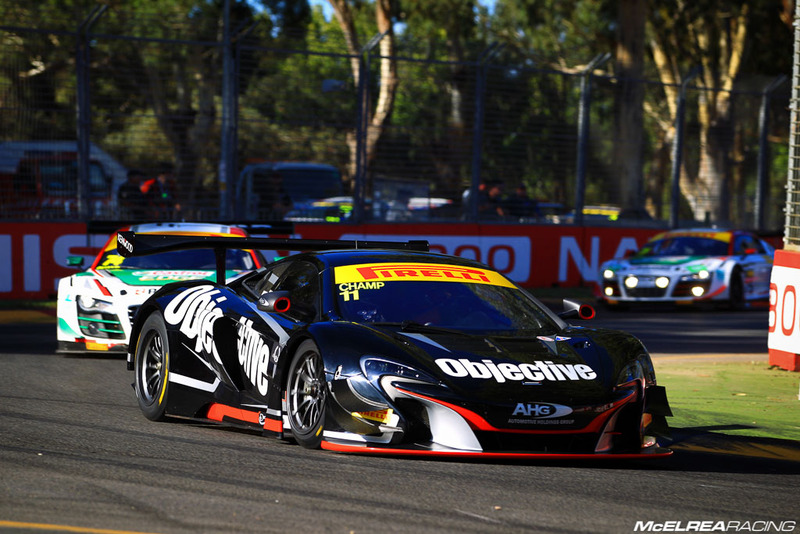 Clipsal was Wallsy’s first race weekend in the awesome McLaren 650S. 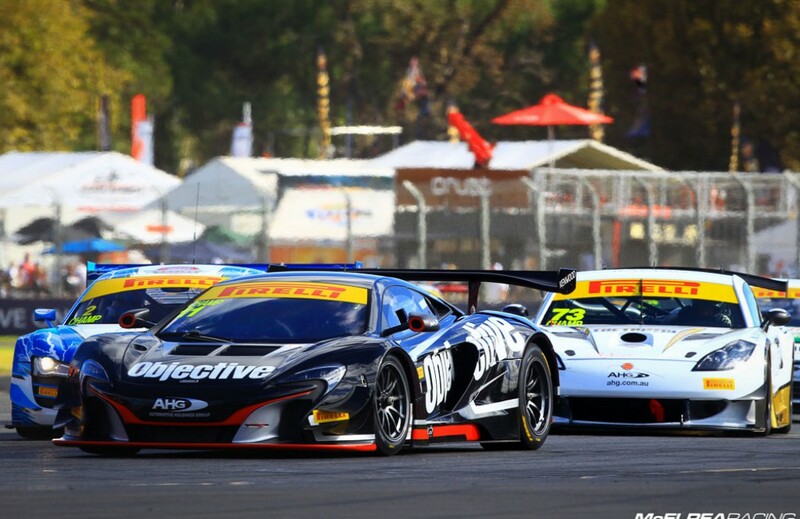 It has to be said that the Objective Racing/ MR pitwalls, lighting gantry, pit buggy and equipment is re-calibrating the level of presentation in the Australian GT. 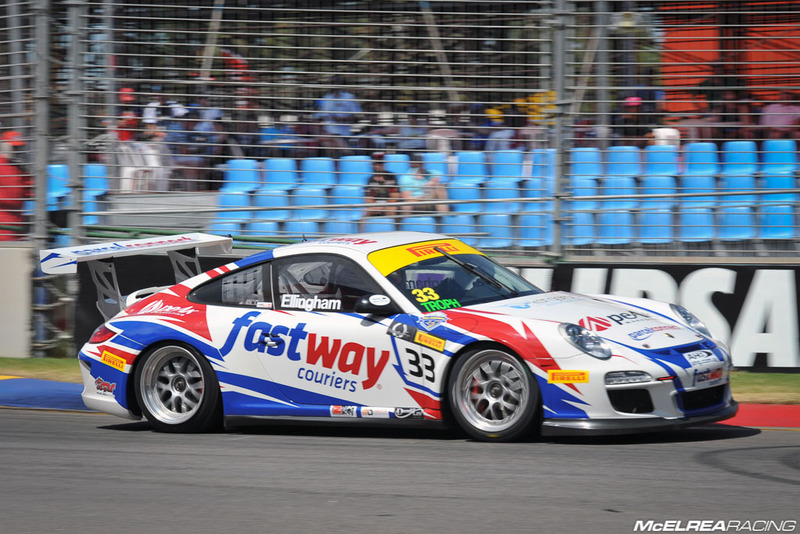 We are looking for consistent top 3 finishes for Wallsy in his bid for the 2015 AGT Championship, and despite a relative lack of kms in a GT3 car Tony’s forceful and solid run in both race 1 and race 2 netted him 5th and 4th. Unfortunately he was hit by Paul Kelly’s 458 in the highly publicised incident as it disintegrated off the concrete wall at turn 2. Damage was minimal, but enough to put it out of the race. Luffy will join Wallsy for the 101 Round 2 at Phillip Island in May. This was Michael’s first race in his new Ginetta G50 GT3. 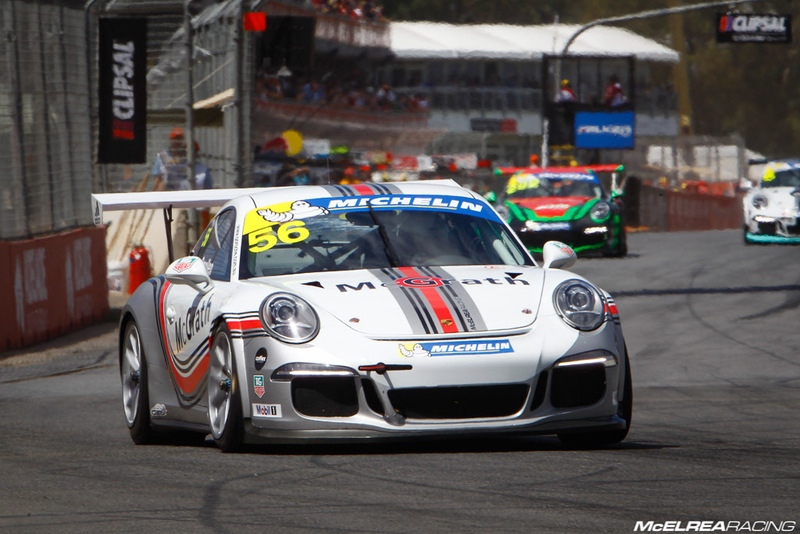 Hoves took a relatively cautious approach to his first runs at Clipsal, but steadily wound up the wick to the point that he finished 14th in race 1 and an impressive 6th in race 2. This is the best we have seen Hoves drive and we are really looking forward to seeing the results as his confidence grows. In the fateful race 3 he was also a victim of the Kelly shunt and was hit from behind while avoiding the carnage. Like Wallsy’s car, damage was minimal, but enough to put him out of the race. 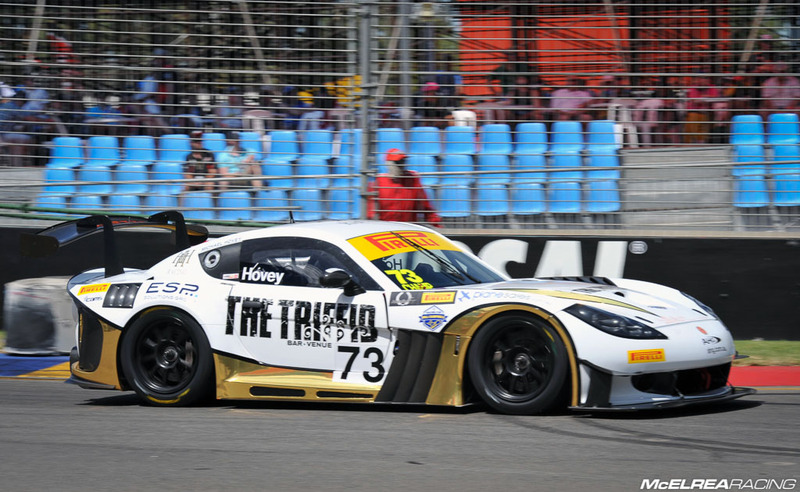 In addition to his support of Matt Campbell’s Carrera Cup campaign, Hoves will share the mighty Ginetta with Matty at the AGT Round 2 at Phillip Island in May. It is great to welcome Simon back to MR for his second season racing in Australia. 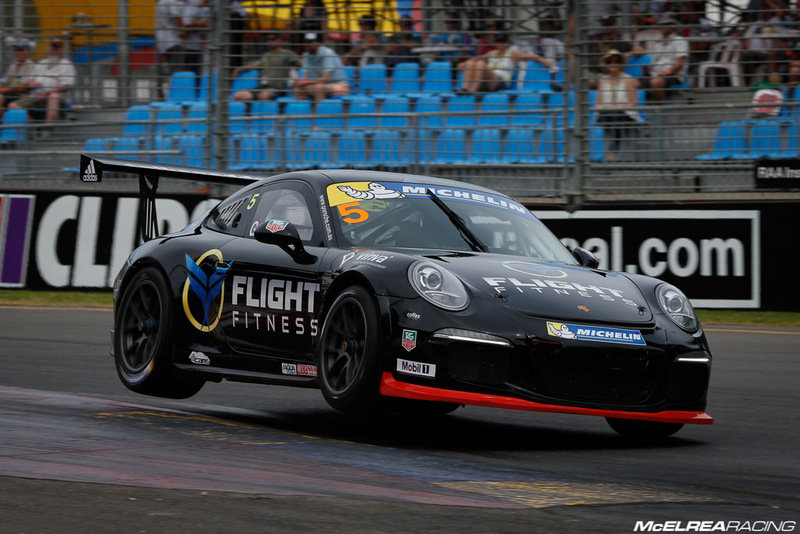 He is driving a 2011 Porsche GT3 Cup car in the Trophy class of AGT plus selected GT3 Cup Challenge rounds in 2015. While V8 Supercar newcomer Andre Heimgartner will co drive for Simon in the AGT 101 enduros, Simon asked Luffy to share with him for is first crack at the daunting Clipsal 500. Luffy did the first 30 minute race netting 13th outright and 3rd in Trophy from a combined qualifying pos of 20th. Simon and Luffy joined forces to net 4th despite a massive pit stop penalty for Luffy’s Pro status. Like team mates Wallsy and Hoves, Simon got tangled up in the lap 1 shunt of race 3. His next round is Sandown GT3CC Rd1 at Sandown at the end of March. With the first round behind us we are really looking forward to some fantastic racing at round two of the Porsche Carrera Cup Championship at the Australian GP where we will be focused on collecting some much needed Championship points! On a serious note, the entire MR team would like to offer our condolences to the Campbell family for the loss of Bill Campbell. During his life Bill not only supported and encouraged Matty’s racing career but he contributed to the entire motorsport community with his involvement in the Morgan Park circuit at Warwick. He will be missed by us all.